The American Golf Foundation (AGF) is a non-profit organization dedicated to promoting the game of golf and its ideals through charity, education and community service. The cornerstone supporting AGF’s mission is the dedicated, caring team of volunteer AGF Ambassadors who are mobilized at host golf courses. Ambassadors contribute their time, passion and energy to helping educate golfers about the game; raising funds for worthy local and national charitable causes; and supporting programs that provide people of all ages and backgrounds with the opportunity to learn, play and enjoy the game of golf. American Golf Foundation volunteer Ambassadors and American Golf management and teammates, work together each year in the month of May to raise funds for The First Tee through various on-course activities. 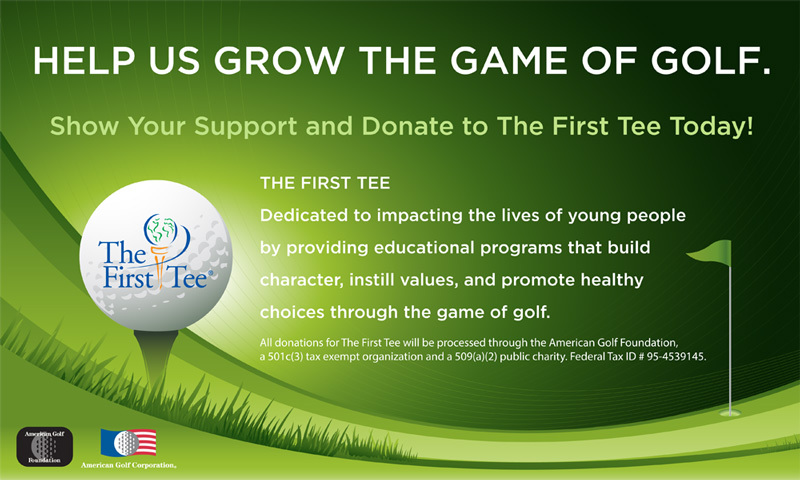 We respect and support The First Tee’s mission to impact the lives of young people through the game of golf and instill life-enhancing values like integrity, respect and perseverance. 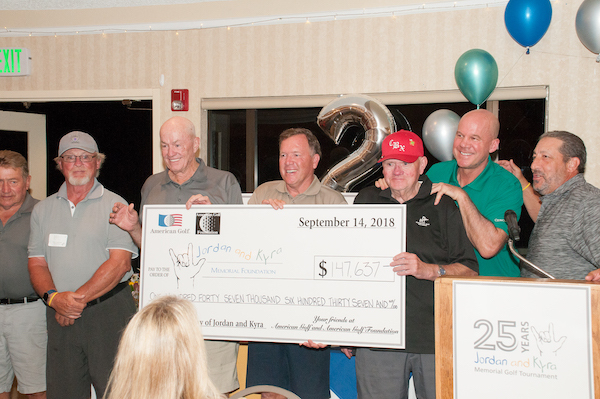 Each September, American Golf Foundation and American Golf proudly supports the golf-industry-wide fundraising campaign for Patriot Golf Day to benefit Folds of Honor Foundation. Since 2007, Folds of Honor has worked hard to carry forth their mission of providing educational scholarships to spouses and children of America’s fallen and disabled service-members. Their motto says it best. Honor Their Sacrifice. Educate Their Legacy. The American Golf Foundation is a registered 501(c)(3) tax-exempt organization and a 509(a)(2) public charity. 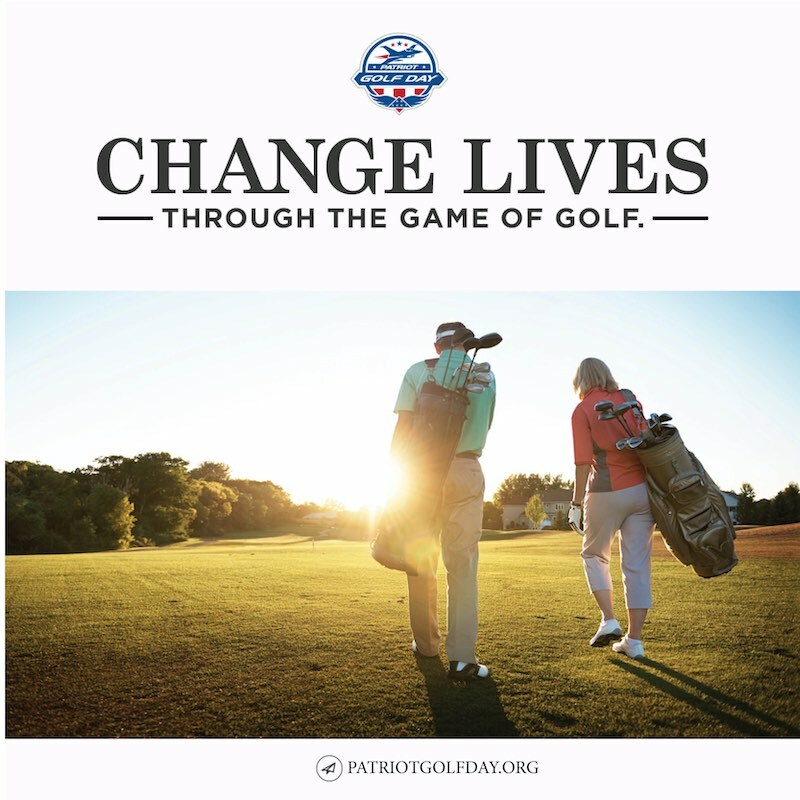 Your tax-deductible donation will enable us to continue our dedication towards supporting worthy charitable causes that help those in need and promote the ideals of the game of golf. Thank you for supporting us! Yes! I’d like to make a tax-deductible donation to the American Golf Foundation. Shop at AmazonSmile and Amazon will make a donation to American Golf Foundation. AGF would like to extend its heartfelt thanks to American Golf for its outstanding support.